Hello and Happy Tuesday! Hope you are having a wonderful week so far! Is the weather where you live beginning to feel like fall? It is here in Middle Tennessee and it feels so wonderful! I spent a little time on Sunday sitting on the deck and enjoying the beautiful weather with our dogs while my husband was watching football. What a wonderful peaceful day.. those are the best kind of days! 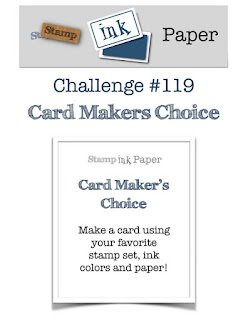 This week over at Stamp, Ink, Paper we have my very favorite type of Challenge... Card Maker's Choice! I decided to pull out my Altenew stamp and die set "Budding Thanks" that I have barely used and love so I felt like it would be a great time to get some more use out of it. I just adore these blooms and they layer so beautifully! This was very simple but lately simple cards have been my favorite! I started with a Neenah Classic Solar White 110# Card Stock base that measured 5 1/2" x 8 1/2" and was scored at 4 1/4". My stamping was all done using Altenew Floral Mini Ink Cube Set and done on the same Neenah Classic Cardstock. I stamped the stems and leaves directly on the cardstock panel. 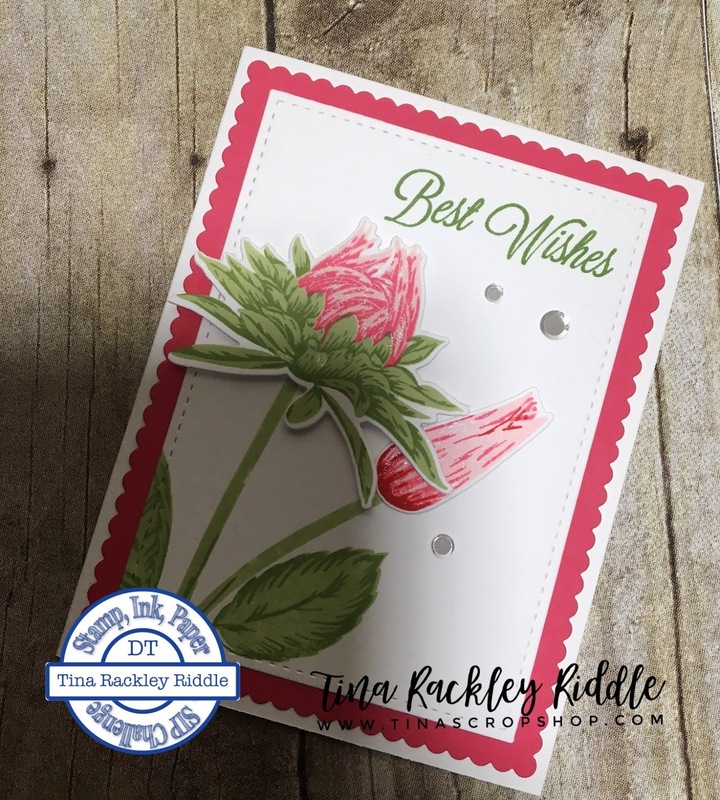 The flowers were stamped on another piece of the same Neenah cardstock and then added using fast fuse for the bud and foam squares for the larger bloom. I stamped the "Best Wishes" sentiment that was from the Hero Arts "Color Layering Large Orchid Stamp Set" on the upper right corner in the Forest Glades Altenew Ink Cube (darkest of the green ink included in the Floral Mini Ink Cube Set. The dies used for my stitched and scallop layers is the Mama Elephant Creative Cuts Basic Set. It includes a lot of awesome dies and it one of my favorite layering sets. I added some Pretty Pink Posh Sparkling Clear Confetti with Ranger Matt Medium to finish this one off.